Have added this video I found (is there nothing that isn’t google-able?) 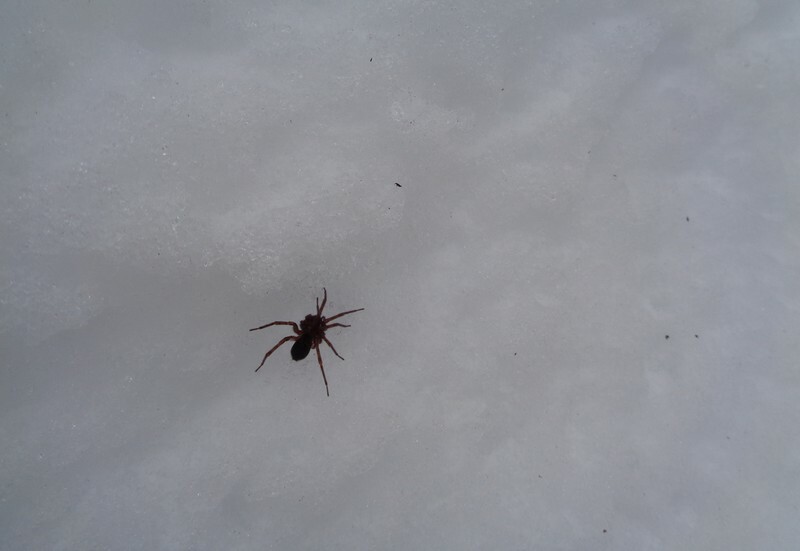 of what looks like exactly the same kind of spider I saw recently in a deeply SNOWY forest. Anyone know why they come out for a stroll? Well, he/she/it isn’t daunted by a bit o’ snow! You have found a survivor indeed. In the middle of a forest. Where did it come from and why??? We were gobsmacked. In fact we saw a second one a few snowshoe steps away. And the snow was deep! A high flier indeed. Nice work.